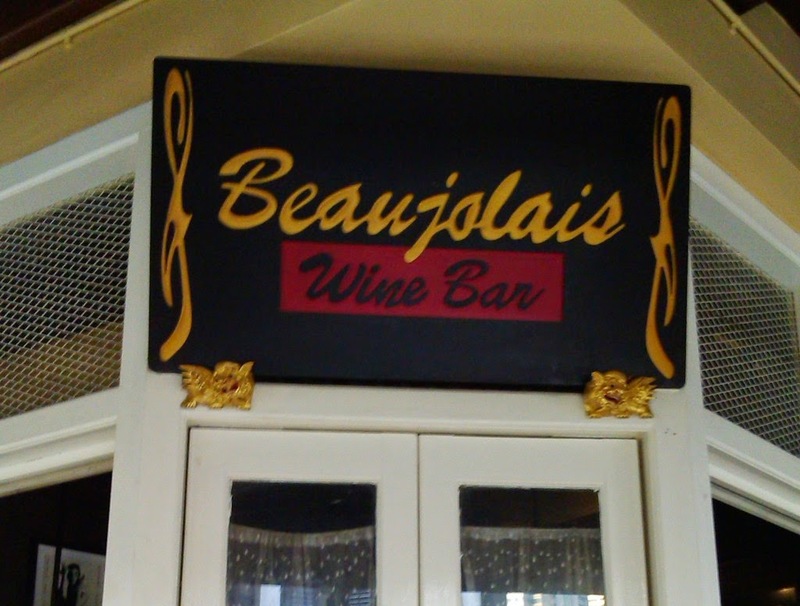 On a the corner of the busy Club Street and Ann Siang Hill, Beaujolais mixes French touches with Singaporean shop house looks. 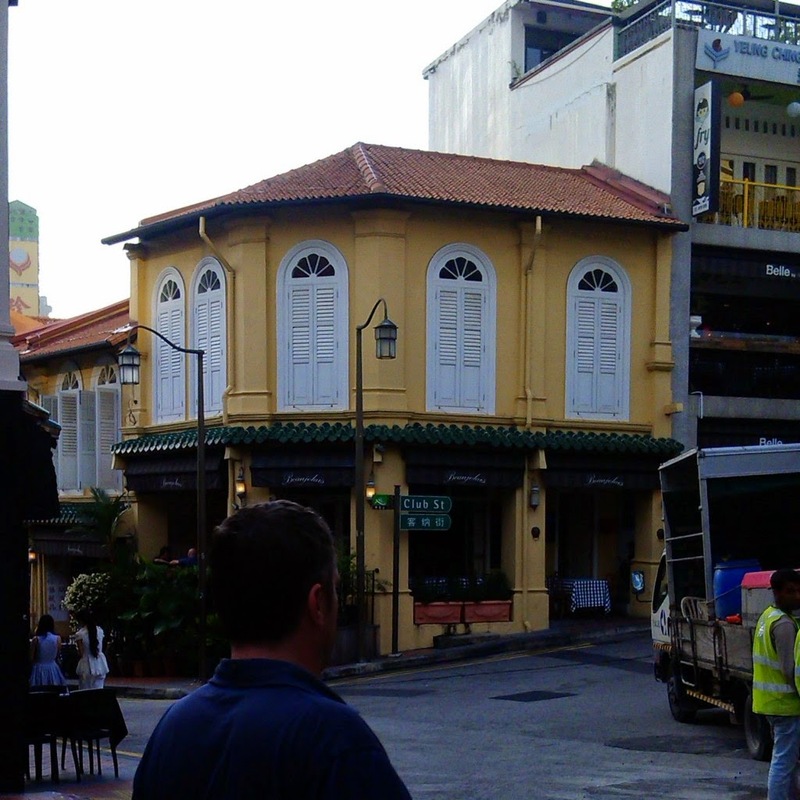 From our outdoor corner spot we had good street views in every direction. 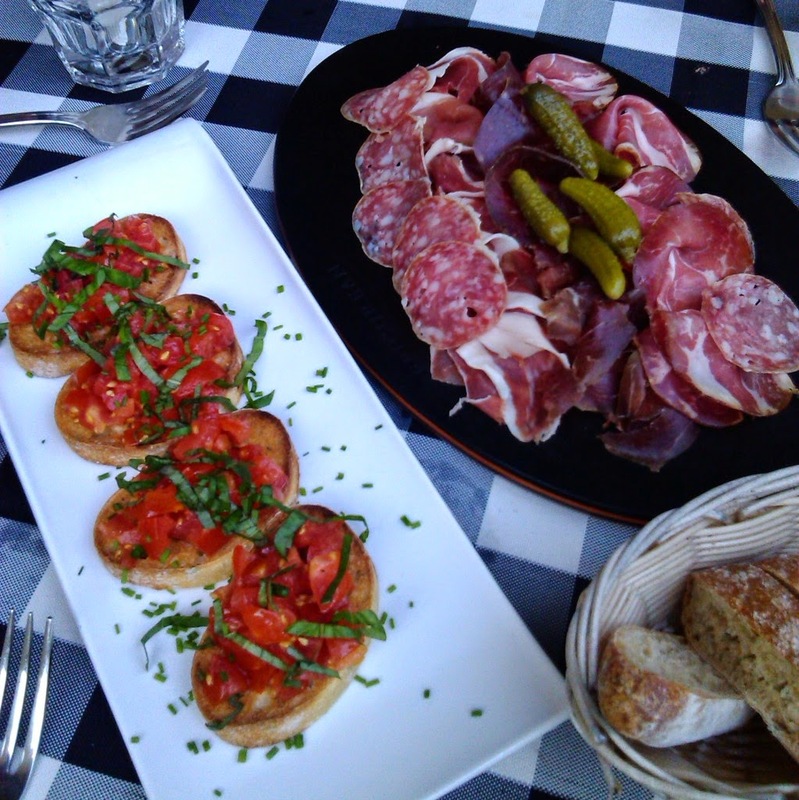 To start we shared the tomato bruschetta, featuring sweet cherry vine tomatoes on toasted garlic bread and Stu's favourite, the cold cuts, including air-dried beef, Swiss smoked coppa, Prosciuto di Parma and French saucission. 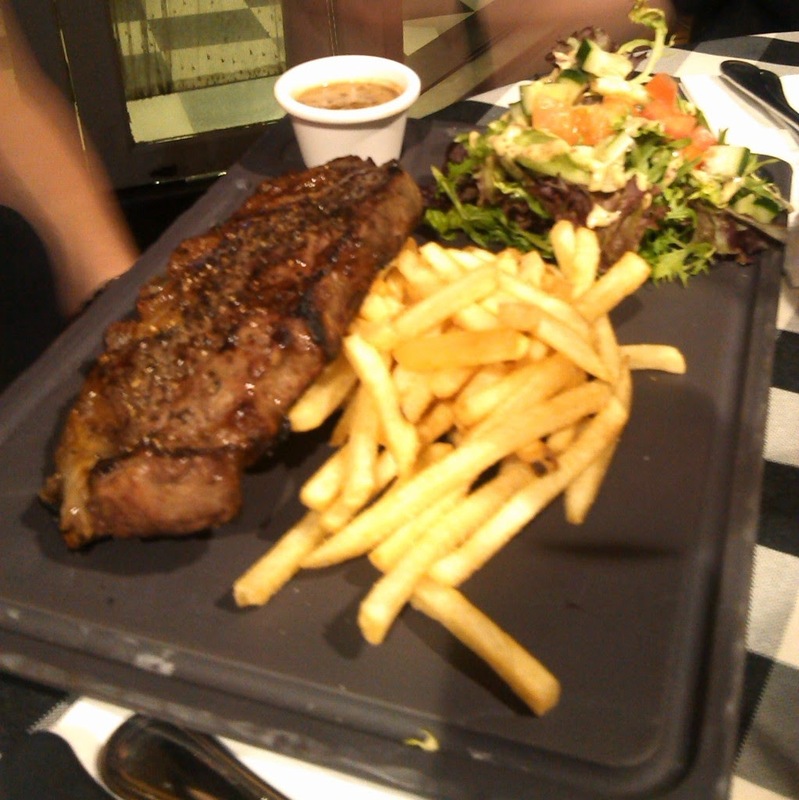 The sirloin steak was served with salad and fries and a choice of sauces. 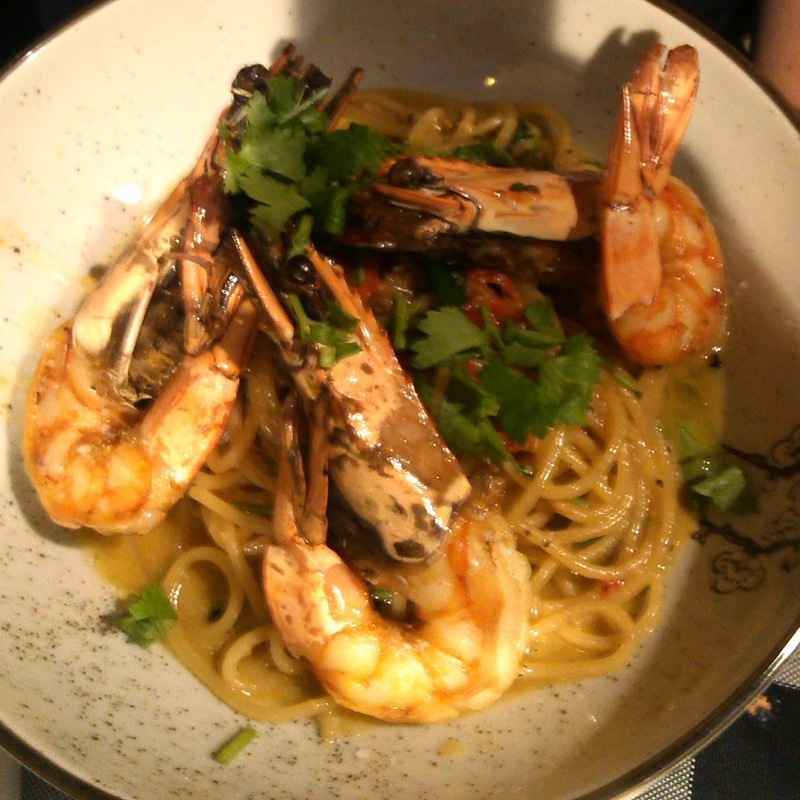 The grilled tiger prawns lived up to their names and were served with pasta aglio olio. 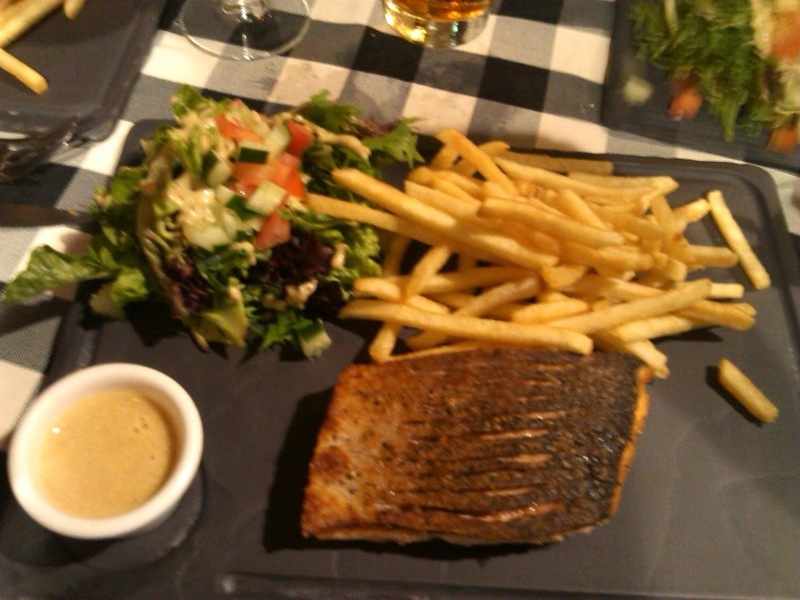 I had the salmon which also came with fries and salad. The skin was a little over crisp and salty, but everything else was good. 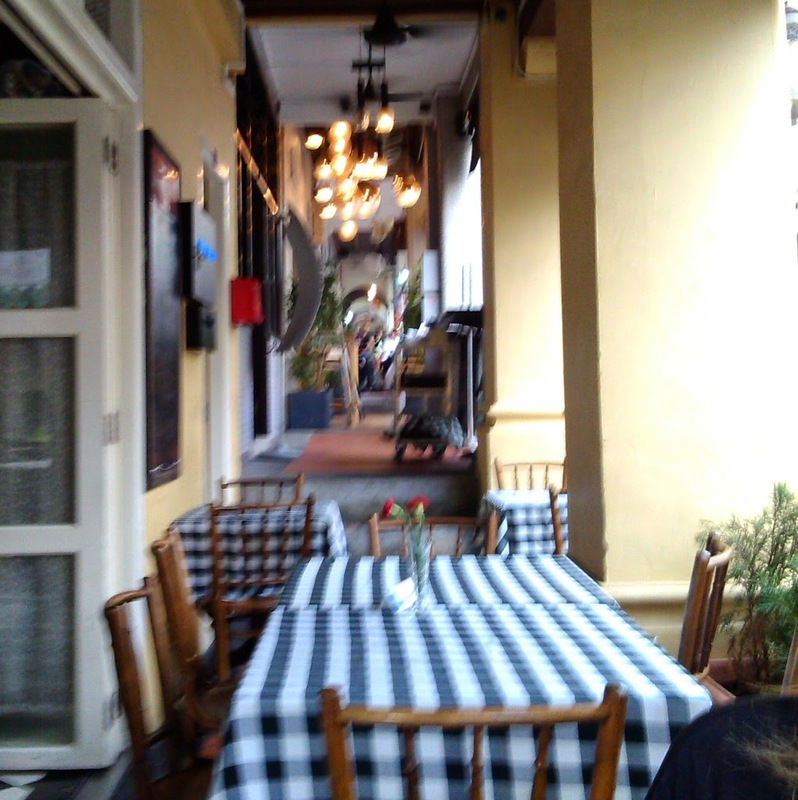 The service was smooth and the food was fair value, as has to be expected the drinks weren't cheap, so the overall meal was fairly pricy, but it certainly isn't a bad choice for a French style meal in Singapore.